Techtronix, Society of Electronics and Communication Engineering of Maharaja Agrasen Institute of Technology conducted a Workshop on “Basics of AVR”, on the 27th of March, 2017. The Workshop was attended by around thirty students from first, second and third year of the ECE Department. The workshop commenced at 1:30 pm as scheduled. The speaker for the day was Rishabh Jain, a student of 3rd year, ECE Department. 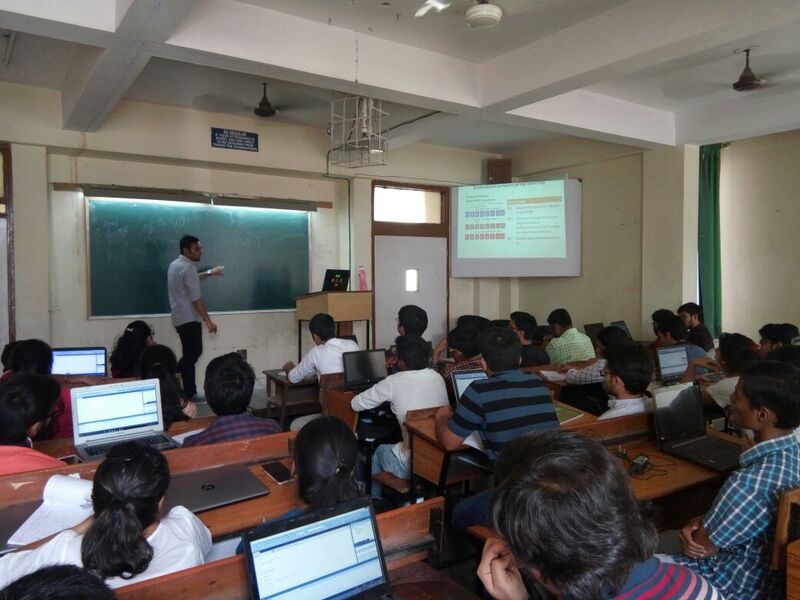 The two-hour long Workshop was focused at giving basic knowledge about the AVR architecture, performing simulations using the Proteus ISIS software along with coding using Embedded C on the Atmel Studio 6. Students were given hands on experience, where they learned how to simulate LED glowing patterns. Everyone participated enthusiastically.